The debate on whether to build certain technological capabilities in-house or buy an existing solution is a common one. 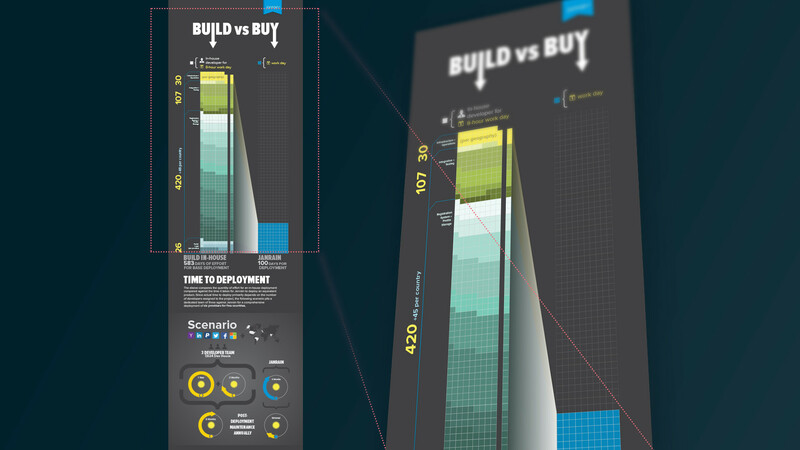 This infographic was designed to compare estimated from-scratch implementation time with buying turnkey technology. 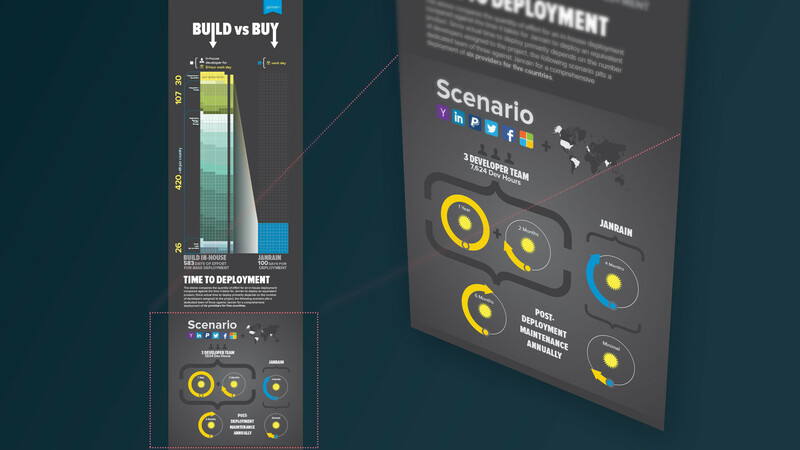 The comparison is dramatic in terms of time investment, a point this infographic makes by drawing both visual and conceptual scale comparisons.